Our second time at the fiddle retreat was a blast. Joyous music and prodigious talents in a beautiful setting--the Hilltop House Hotel in Harpers Ferry, WV. Check out http://www.youtube.com/tnoelle for videos and http://www.fiddleretreat.info for info. 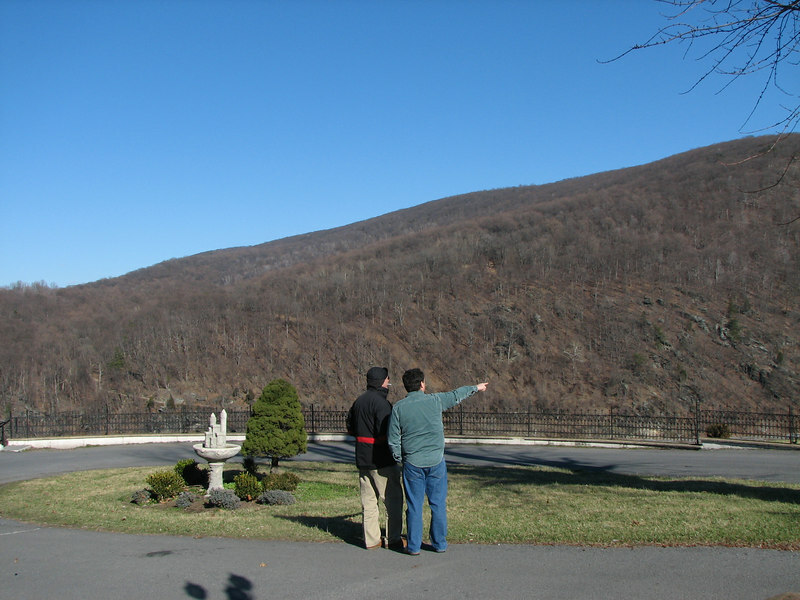 Mike and Lloyd look across the rivers to Maryland Heights. that Lloyd feller lookes mighty bundled-up. pretty pics, though! That view is absolutely BEAUTIFUL!